We have known the deep abyss of fear, yet hope has not for one minutes been far away. Why? Because we believe in the power of prayer. The faith of a mustard seed at times but God has always moved mountains. He is sure. Steadfast. Immovable. The mindset of hope on our knees shifts we “hope” so to “belief” in the assurance of God almighty as THE power greater than ourselves. On our knees our view is heavenward where God the Father sees and knows the best for us- His view broader, wider and deeper than our minds can comprehend. And “by faith” we entrust, rest in every promise, settle in to the rhythm of His faithfulness over our lifetime and put one foot in front of the other believing in His love for His children. We make our plans. God directs our path. Hope has permeated every prayer, conversation, conjecture of a future and in our dreams and plans there would never be a moment where we backed down. For over three weeks now we have held tight to hope because the God we place our hope in holds us stronger and never loses grip- no matter how faithless we are in our hopes and dreams for a beautiful future for my sister. To lose hope places a pause in the active work of God and we must not waver but pray always in faith BELIEVING!! Today my sister has made a most amazing turn for the good. Not one culture that was taken was positive became the cause for the diagnosis. Encephalopathy- an inflammation of the fluid around the brain that became infected. This beast, a self-limiting virus, likely became stronger than her weakened immune system could handle after a 9 day hospital stay for a GI Bleed. She is a fighter. Resilient. Brave. And I have never been more proud of my little sister. Words do not often fail me- But this has truly tested he fact that at times my inability to fully describe the angst and stirring in my heart….. The pursuit of hope often wavered but finding hope for Claudia superseded ANYTHING that I needed and will remain a worthy pursuit to keep hope alive in her!! So often the very day the words fail to be found, the poetic painter of pictures with words, enables this heart to settle into its rhythm. Beautiful words about hope in this time of Advent~ as we await and renew our alive again at the reminder of the coming of the promised Messiah- Jesus Christ. Wonderful. Counselor. Mighty God. Prince of Peace. Thank you Ann VosKamp for painting my world today with hope. I rise today with the “thrill of unwavering knowing” Yes!! “What gives us Hope if not God and who is the source of Hope if not our Savior? Making up hope isn’t our job. Hope is God’s job and our job is to trust that God’s making Hope. That God’s making a way, because He is The Way. 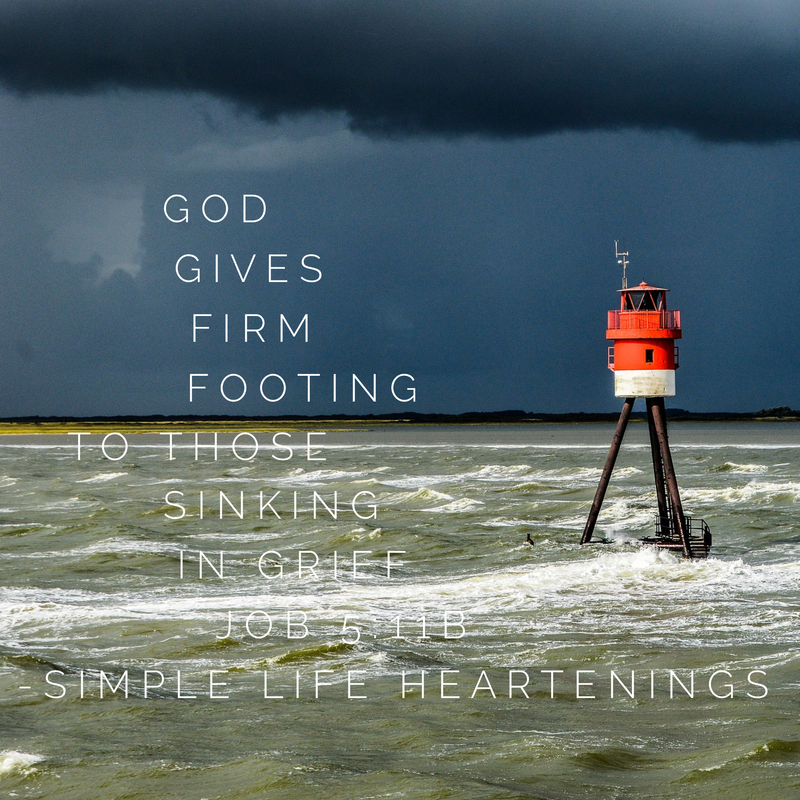 When we’re tempted to fill with despair, Hope whispers that God will fulfill His promises. Hope is not the belief that things will turn out well, but the belief God is working through all things, no matter how things turn out. Hope fiercely promises to meet us in hard things now — because we fiercely trust God’s promise to make all things new. You see: Hope is a defiant reliance on God keeping His Word. Hold on to His Word for all you’re worth — because His Word is what proves God is trustworthy. And when you know God is trustworthy — you know today is worthy of Hope. When your bones know God ultimately makes good on His promises — that’s good enough reason for hope to burn in your bones. As long as you still are, all is not lost. Being is hope, and hope is presence, and this present moment is a gift pulsing with hope. Hope doesn’t promise success to the strong, but resurrection to the wrecked. Because success isn’t the virtue that will remain. Love, Joy and Hope are. So we will make those three that will remain, always our main thing. Like muscles, Hope is made by rising, again and again, lifting the weight of dark that’s conspiring to flatten us with the strength of His promises that’s certain to carry us. May hope surround you this night and for all of your tomorrows. There have been notable moments in my life where the Holy Spirit has prepared my heart with an overwhelming presence of grace and compassion. To date, I have known great joy in keeping my heart open to God’s work in the midst of life’s ordinary moments. This past Thursday was just that kind of regular, ordinary get it done day! Last stop of the day and the shopping was done and done! Truthfully, there had been no real notion that this would be one of those interesting distraction kind of days where the Lord facilitates an opportunity to live out God’s love, grace and compassion in a very real way. While loading the car after an arduous “Back To MRO” grocery and supply run, I saw a gentleman from the corner of my eye park his bicycle by where the grocery cart return was located. While within close proximity of my car, the Holy Spirit quickened in me a heart to be wise, don’t worry he is safe, watch and listen day. Within a moment, our eyes made contact, he introduced himself as Will and I knew in an instant that He seemed to respect my caution but yet welcoming posture. I just want a warm bed and something to eat. He began to share His story and it was much like I would assume. A broken life, family, tragedy and the loss of his job due to an extended hospital stay after he was hit by a large truck while riding on his bicycle. Scars on his arm told the story. He stood for ten minutes and shared every little detail of his hope in the Lord. My heart was overwhelmed with compassion. I never give money to people but the Holy Spirit quickened me to help insure that he would have a warm place to sleep and food to eat that night. Just one small act of love and compassion might be the catalyst for change in his life. And that I will forever pray over Will’s life. Tonight I rest well knowing that Will is going to find God’s perfect plan for his life. He asked me to keep him in my prayers as he has a job interview this coming Monday… Would you join me in praying for him? For God to make a clear and good path? To provide for everything that he needs. Permanent shelter, a job, food, companions in His life and that he would draw even closer to the Lord. I grabbed a quick selfie with Will just after we prayed together right there in the middle of the chaotic WalMart parking lot. I wanted you to see his face, consider his kind way and intercede on His behalf. Wherever you are tonight Will, you are loved and the Lord God is with you! Lord, thank you for reminding us to live fully in the moments that we are given. To hold on tight to what is important to us. Hold us close Lord with tender love and help us to slow the crazy pace for moments of refreshing and to be in all the together places that we cherish. Our souls need each others attention and time committed for no television, no phones, no laptop, no commitments but to that which has been our covenant before God. God first. Time for you, my beloved for life and me. To deeply love and care for my family. To let them go to be the amazing man and woman, husband and wife, helpmate, provider and parent that they have been created for. The beauty of our ministry together for almost all of these 35 years. The conversations about the tomorrows and hope.To never miss one sunset together even if it means driving 30 minutes to do so or to be okay with just rocking quietly in the chairs on our front porch. And honey, did I mention I’d like a treehouse in our backyard?? Please?? My heart always turns to him because I love doing the things for him that make him happy. We ate dinner together. Nothing else in this moment mattered. God would speak later if this was His time to whisper something beautiful to my heart. We chat and all the while my spirit is listening. Monty Self promises to clean up the kitchen so that I could get back to that thing that God is giving birth to. He sees it in my eyes and how I smile when words flow from my communion with the Father. Suddenly in my distraction he taps my leg and smiles that smile that still makes me love him all over again. I quietly move back to the computer with grateful heart. God you speak so softly, sometimes so carefully that if our heart is not devotedly attuned to You we walk right over our Savior’s breathing message so alive. Once again my heart is schooled in learning to live even in death. I cannot quiet His voice. Truths worthy to be held and considered. The Lord brought this verse to mind tonight. 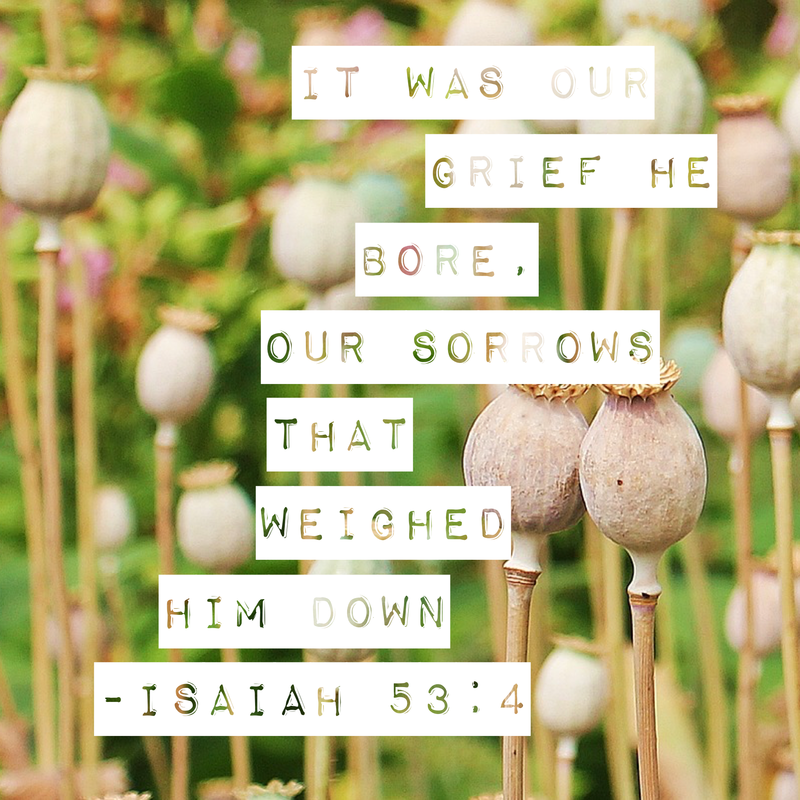 As we remember those who are experiencing pain and loss, we see it also described in Isaiah 66:9. The promised delivery of God’s only son would be painful but would be necessary for the new covenant to be born. Prophesy. The gift of a baby- God’s only son. Jesus Christ, the perfect lamb of God who would bear the sin of all mankind. God knew the pain of loss. Don’t you know if He could have made it happen any other way He would have? We are made to rescue and protect. The heart of God, our defender, His heart knew it necessary because of His great love for His creation and the only way to restore the love relationship that was broken at the fall of Adam and Eve. Prophecy spoken. Promises kept. The enduring hope for all of mankind. For Rory Feek. For Joey. For their family. For you. For me. Redeeming love was their love story too…….until death do us part..
My life has been far from perfect, even still sin’s nature in me will win when I drop my arms in battle. A scared little girl way too grown up for the time when this small heart came to know such great love.It still overwhelms me in all of the right and surrendered ways that God created me for this moment and has plans that are uniquely for me to live out. The beauty of my heavenly Father to trust me enough to speak to others about His love, mercy, grace and goodness. To serve Him with my life, a privilege to represent and bring honor to His name. The joy it brings when He places in my heart words that have always been my art. (well, not really art. Truthfully I CAN draw flowers and…. oh yes. Stick people. No lie I can even draw clothes on stick people. Did I mention that I am verbose? This lover of words is ALWAYS in need of an editor! Monty and I have known what it is like to have much and to have little One thing I know is true in this very moment of our marriage is that we know what it means to be content. Our resolve to lose no more ground to the enemy who has been persistent in the fight for our hearts is foundational and steadfast. Our love has endured and God has been faithful and true. Yes, we have known our own sufferings but we sincerely pray for opportunities to share our story raw, honest and so very real. My connection in heart was immediate when I first read something written Joey and Rory last Fall. It is a beautiful thing to read words that cut in all of the right ways and make you better for time spent alongside of their lives. There was no glittering up the truth. Joey wrote and the powerful nature of God was alive even in the midst of the valley of the shadow of death. 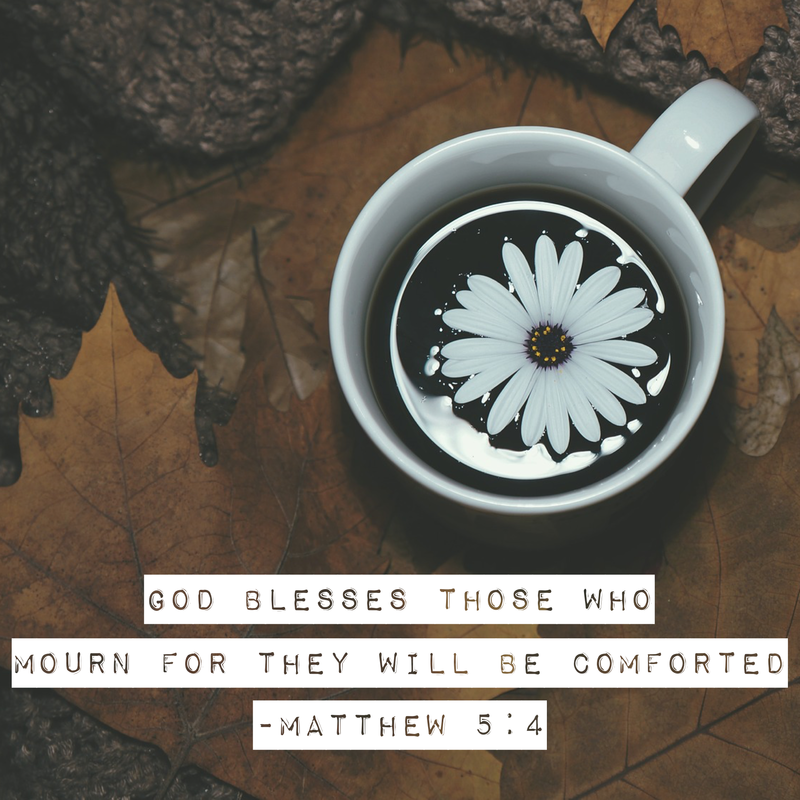 There was comfort as their lives encouraged others in the daily. Joey and Rory wrote words that were born in their hearts. We will remember that love tucked sweetly away in moments that we need the reminder. To watch God ever redeeming their love for each other as the whole world watched. The sunset tonight filled my heart with gratitude all in the middle of sadness for the precious little one who albeit tragic WILL know her mama because those who loved Jesus became invested in her journey. Out of love, her husband lived the words he wrote to tell her grace-filled story. Collective hearts agree tonight that life is short even when you get to live for many, many years. We the broken, frail and surrendered lives want to do it differently in measuring the loss of another life and spirit gone too soon. It is so easy to move along and forget. Lord give us the days to tell of Your love as You will. When life seems hopeless, mercy is poured out. God’s character is to redeem, restore and reconcile. God prepares hearts for such a time as this. The Lord is near the brokenhearted..
To be absent from the body it to be present with the Lord. We rest in truth tonight. “It was at a church service in Munich that I saw him, a former S.S. man who had stood guard at the shower room door in the processing center at Ravensbruck. He was the first of our actual jailers that I had seen since that time. And suddenly it was all there – the roomful of mocking men, the heaps of clothing, Betsie’s pain-blanched face. He came up to me as the church was emptying, beaming and bowing. “How grateful I am for your message, Fraulein.” He said. “To think that, as you say, He has washed my sins away!” His hand was thrust out to shake mine. And I, who had preached so often to the people in Bloemendaal the need to forgive, kept my hand at my side. Even as the angry, vengeful thoughts boiled through me, I saw the sin of them. Jesus Christ had died for this man; was I going to ask for more? Lord Jesus, I prayed, forgive me and help me to forgive him. I tried to smile, I struggles to raise my hand. I could not. I felt nothing, not the slightest spark of warmth or charity. And so again I breathed a silent prayer. Jesus, I prayed, I cannot forgive him. Give me Your forgiveness. Day Three of radiation…… My mom zips in and out like a champ. The room is packed today. Sadly, there were no rosy colored glasses at the Cancer Center. So many Bible verses stir in my head as I once again watch from afar. The voices around me whisper but the echo of the overwhelmed reminds of their need for encouragement and affirmation. Every life there speaks into the life of another so sweetly. No need for pretense here. Cancer has a way of leveling the playing field. Every life is battling this dreaded disease and the hush often stills the room for understandable moments. In that we steel our resolve to be more attuned to the doors that God opens and obey. The heartbeat all around today was heavy but made light as the nutritionist offers up some yummy treats with fresh herbs. Just a normal day in the lives of those who care for cancer patients and speak hope into the grasping hand outstretched in need. Physically. Spiritually. Emotionally. The “eyes” of compassion lift spirits as a young man with a pirate-like patch over his left eye that he had lost to cancer. He casually begins to share April Fools Day jokes all around. And of course, I would fall for the, “Hey your shoe is untied” and I was wearing slip on flats! I smile deep and out loud somehow at the same time. The breath of compassion from all in view was palpable. This young heart, in surrender to his current, humble position breaks the ice of uncomfortable and diffuses any awkward interactions. This gathering of hearts know that this is where hope rises and God’s mercy waves over us with swells of joy. Today we were gifted with a better view of compassion’s work. The spiritual clothing that we wear encompasses a focused intent to be tender-hearted, mercy-filled, purposefully kind, surrendered and humble with a full spirit of gentleness and patience. This represents our Savior well and with the love of God that grants us the gift….the compassion knows that full well in that we are most blessed. Today we walked with compassion and asked the Lord to give us eyes more attuned to the Holy Spirit’s leading as we set out in pursuit of a deeper understanding of compassion. Such calm and peace on this Good Friday as I reflect at the end of this weeks journey alongside of new and unexpected friends. Yesterday, day 4 of my mom’s radiation, there were no huddled families discussing details, overwhelmed with information or shuddering hard as they face cancer’s abrupt detour along winding roads. I took a deep breath as I chose my place to settle. I take my mom’s coat and purse before she signs in and off she goes. Today, I am a little sad that the beautiful window into hearts of late may not be as telling of God’s presence that has been so real. Truly my strength has come in the honest surrender and in the telling stories of the providence of God’s plan for every soul. He continues to show Himself trustworthy. His glory in meeting the hearts of His beloved in hard places of fear and unrest is woven in almost every conversation. Today I miss the sweet moments of care among this community that know this so very well. I close my eyes and smile after what seems like hours of God’s presence permeating my spirit. And when my eyes open, she sits down one seat away and in that grand space she is now adjacent to me. And of course, the Lord well knows that I will not ignore that I have seen her. Her hair is gone, her small frame so frail and weak. I speak hello in the awkward silence. I make sure that our eyes meet. Her bald head is of no importance to me but I have seen the anxious stares of those who do not know what to say. She bends her head down and puts her hand on top of her head as if to hide the obvious. I want to run and wish that I had not spoken and drawn even more awkward attention to the obvious. All too well I know that He longs to love her fully and even more real in the next few moments that we share. This beautiful young life has been stilled and this horrible pause in her has stunned her. So I wait for a moment, I pray hard for her heart to be held and for her to know how very much God loves her. The silence is deafening. I speak quietly, out of respect. “You. Are. Beautiful. Courageous. Strong. Fearless. Loved.” She raises her head. We were alone in this large waiting space. In a whispered response that I can barely hear, she responds “I keep praying for strength.” I reach deep and am reminded that everyday faith-based, God-Inspired responses does little to comfort a despairing heart. While I know that God is good, His ways and plans are perfect every day of our lives are not always supernaturally “happy”. No platitudes. Only whispers of hope unspoken and in the silence I beg God to speak peace to her whole being. Our eyes stay fixed and I feel her soul beg for rescue. Few words are exchanged between us in this timeless window. She IS a person of faith but for her, cancer has tested everything that she thought she knew. She laughs and speaks boldly of her new-found life experience; “Easy to trust God, praise Him and celebrate when you have your hair and health.” We smile. I may not know THIS very well….but these things I do know from every messy place that God has gifted on my life’s journey to wander. I restrain myself from running to her. This was NOT that moment. I encourage her to run hard and fast to the truths that her heart knows. It is fair for our hearts to feel abandoned and to wonder why. Why me? Why now? And I swallow hard, but really- Why not? I wish that I could say that my response along life’s hard places have always been that of a beauty surrendered with no whys, no doubts and always FULL faith. She is so very weak. I see her settling back to find that comfortable place. She is day 30 of radiation after a very long and aggressive series of chemotherapy. The truth is, moments allowed like these in the full scope of the sovereignty of God have ALWAYS led me to my knees. As His beloved, that is exactly where God fully is. In our surrender, He bows low to where we are because He understands more than we the pain of suffering. Dying on a cross so that we can live, not just glide through life but know it in abundance. His love and care shape us. His glory appears when we let go and receive in knowing and understanding that He sees, He knows and carries the pain and suffering In our lives. We are fearfully and wonderfully made. He holds us strong as does the Father and the Holy Spirit. He hears our most intimate tellings and the very things our hearts are never prepared for. Beloved of God, Jesus, the prince of peace, is at the right hand of God the Father interceding on your behalf. Out time together ends and yesterday as night fell, my heart was still mulling over this 3-5 minute God ordained appointment and I give thanks. Not for the eyes to see but the heart to know, to feel and identify with in some small way the indescribable pain of facing ones own mortality. This heart acknowledges my responsibility to examine my own life. To boldly live out the days that I am given instead of getting derailed by the things beyond my control. To find the balance in it all, so as not to miss the world around us as we run fast forward through life. To march fully into each day that we are given and take hold of life even more purposefully on this side of heaven. The journey through suffering prepares us to be even more committed to the work of the kingdom of God, to its building and to bring glory to the indescribable gift of eternal life. Living in this world is not eternal life. Learning to live well even in dying leaves behind the beauty of God’s promise through Christ….. I have gone to prepare a place for you. 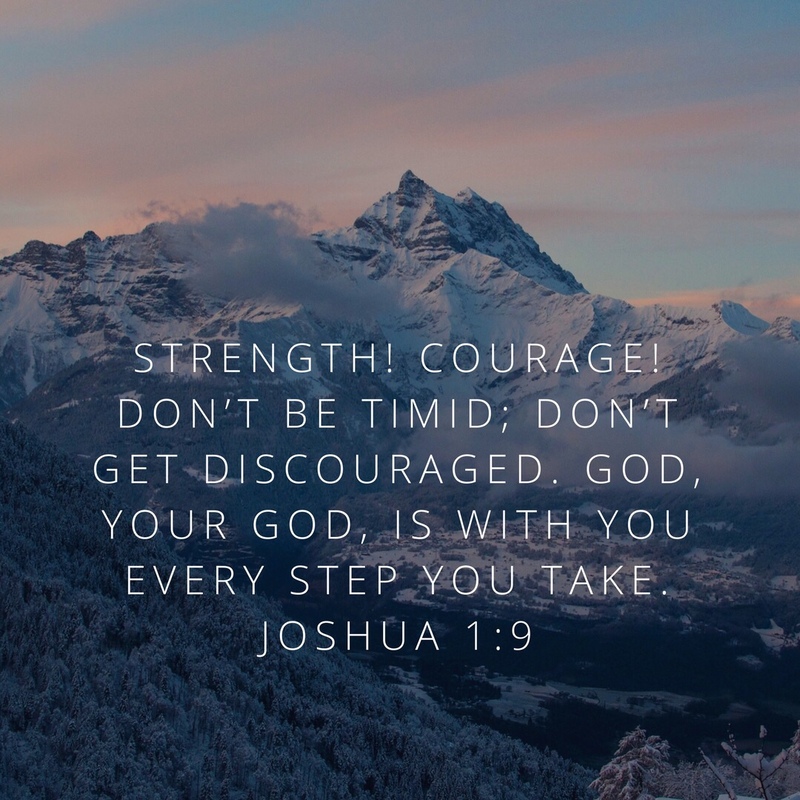 Do not be afraid. She will wrangle with the Lord during these days that seem to stand still in time as she faces the valley of the shadow of death. Her path will continue to be made straight as her strength to trust God fully returns. She will go to be with the Lord when and only when The Lord has made known in the heavens and His work for her is done. I find great joy in affirming her that her life has impacted and challenged mine in these sacred moments. You ARE His masterpiece, clothed in beauty. Our hearts beat together and His presence resonates with the angelic beauty waiting at the gates of heaven to welcome her…… Someday. When the Lord wills. i open my tablet and begin to read and sing Psalm 23 over her as a prayer. My unutterable prayer beckons the heavens to open up and envelope this precious, wounded heart and fill her up with strength, courage and peace. “The Lord is my shepherd, I lack nothing. He makes me lie down in green pastures, he leads me beside quiet waters, he refreshes my soul. He guides me along the right paths for his name’s sake. Even though I walk through the darkest valley, I will fear no evil, for you are with me; your rod and your staff, they comfort me. You prepare a table before me in the presence of my enemies. Your are loved precious one so much more than you know……and of this we can be assured. 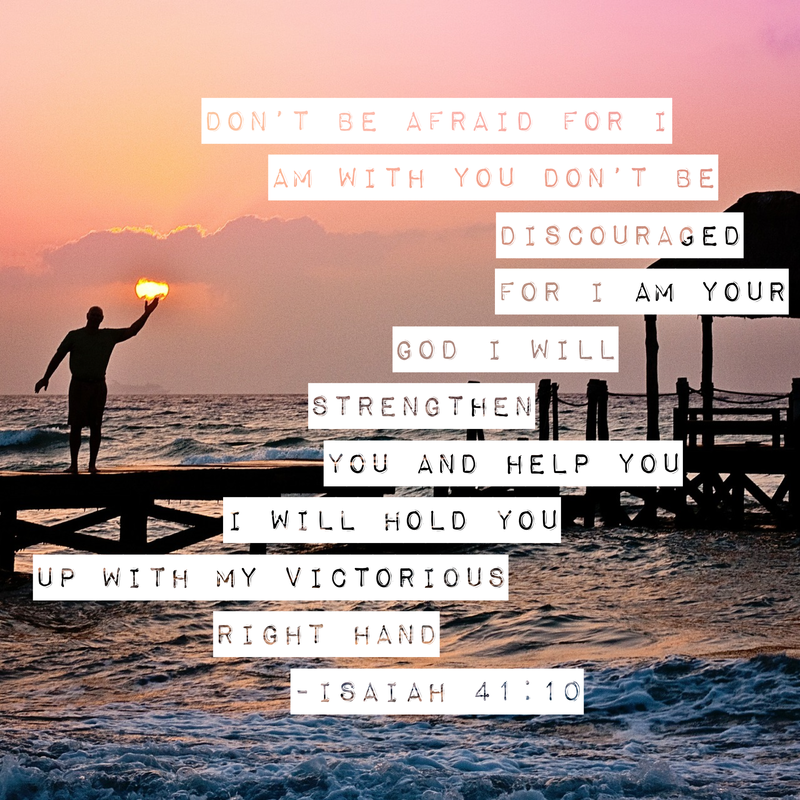 Be comforted in knowing…… we will always be with the Lord! Day five, six, seven and eight of radiation for my mom complete and the marathon continues. This new community feels a little more like home today which makes me shudder. Yet, I am so grateful for this physical dwelling place, the people who make its heart beat, who love so fully and have spoken life to the written words of my spirit and given them wings. On this Thursday evening, my mind and heart continue to resonate with the lingering words of our worship and truths from God’s Word proclaimed this Easter. I wonder how the minds and hearts of Mary, Mary Magdalene, Jesus’ disciples and Christ followers were embracing the resurrection? What pain, defeat and struggle they must have known with His death and Jesus now miraculously made alive. • Jesus asked common lives to join Him by dropping their nets, leaving their vocations and surrendering their whole lives to follow Christ, their promised Messiah. • The journey into the city on a donkey, Palm Sunday, Judas betrayal, The Last Supper, the Garden of Gethsemane, Peter’s betrayal, the accusations, trial and crucifixion. My mind cannot imagine what it must have been like to walk alongside of Him, to be touched by the power of His glory, be swept up in God-breathed scenes of the miraculous and their lives bowed low in honor as He speaks life into those seated at His feet. The work of God and love for His creation would be fulfilled through their obedient lives. Could they really have known fully the magnitude of their days leading up to the cross? How humbling to participate in the intimacy of ministry in the midst of prophecies fulfilled. I imagine His presence drawing them close to Him as He cared for each needful place in their lives. In the tender moments when they so organically touched love in a way they had never known. My heart weighs heavy as I consider their treasured Messiah and friend suffering, enduring the cross and dying. After the resurrection, word spread like wildfire. He is risen. As would be their heart, I imagine hope-filled days as Jesus continued to teach and speak life into their calling and the message of salvation once for all! Jesus, their God and King, would tell them that He would return to heaven but assured them that He would not leave them alone. The promise that the Holy Spirit would come in all power to help, comfort and assure their days through His nearness through the indwelling would likely confuse and overwhelm but in Him they had put their trust. That they could be sure of. So it is in our lives too. We, so small in the shadow of His greatness bring our hearts and every broken place for emotional, physical and spiritual healing. It is there love meets us. Just. As. We. Are. His crucifixion, burial and resurrection remind us that the gift of eternal life came with so great a sacrifice. Yet, this Easter, the deeper treasure that hope has become to my family is the breath of peace and the nearness of God with us when all that is around us spins quickly out of control- Cancer. It may be for you that one phone call, one doctor’s visit, one bill you cannot pay, disease that threatens to overcome a future, etc…. There God reveals His love and care for His beloved. Hope when all else seems shattered. In this, the Holy Spirit’s beautiful way, lovingly holds us as we learn anew to find grace, as we too glimpse eternity with a veiled view of the hope, future and the what is to come. The waiting room talk at CaroMont Cancer Center is light-hearted today. The symbolic “I Survived Radiation Bell” resounds with three rings that represent the restoration of balance, harmony and life energy. We all look up, connecting us once again to hope and to each other. It is in these moments that community is built around a common connection. The ringing of the bell hovers over us in a wave of assurance. We then join the celebration and cheer alongside of each other. Every heart reminded that this phase of the journey will have an end. We entrust the brave heart of the ringer to the Lord as it trusts that their final radiation treatment will once and for all put an end to this cancer diagnosis. Many will beat this evil disease and for so many hearts, there will be celebrations and rejoicing just as I imagine Peter running to the tomb to see for Himself that, just as they had said, Jesus was not there and then excitedly running off to share the good news. And I am on my way! You are a survivor! Celebrate Life! I long for the bell’s ring and celebration to signify the end of radiation for my mom that will allow her (our family) to breathe again, to walk in this new beginning with hard fought joy! For without hope, we lose heart. The cross reminds us that every good and perfect ending often begins with pain and suffering. Yes life. We know the complete full because Jesus “endured” the cross on our behalf. No matter the waiting, lingering and hard trusting, enduring place, our heart’s battle in this world pale in comparison to that which Christ endured. Our joy awaits us as we are carried along, the Holy Spirit’s presence holds us close. In these moments, we hold tight and surrender. Just as God did in sending a savior. Just as Mary did in receiving the Lord’s gift as His will. Just as Jesus endured. We too walk in the power to live out the path before us for His kingdom come, His will be done. We sang this song in Easter Sunday. Every word has echoed and drawn my heart to its own wanderings through God’s Word this week. A restless soul finding peace among the stories of God’s beloved who faced their own “valleys of the shadow” and found God’s pure and perfect love wrapped up tight in goodness. God continues to do so much RIGHT and for that I will always give thanks. And while there will be days that we battle, the darkness, when the hard things try to stifle snd skew our view of the eternal. God’s light refuses not to shine the light of hope when it comes to the faithful care of His children. At this day’s end….. I ask you to find the good path where we can collectively walk in His power, sing, give thanks in ALL things and Celebrate this beautiful life that we have been given. So. Be. It. Behold the lamb of God who has taken away the sins of the world. Hallelujah!!! There is no greater love. Your suffering for our freedom.